Are We Being Cheated Out of Ebook Cover Art? These new ebook editions have no copyright page or publisher listed inside. 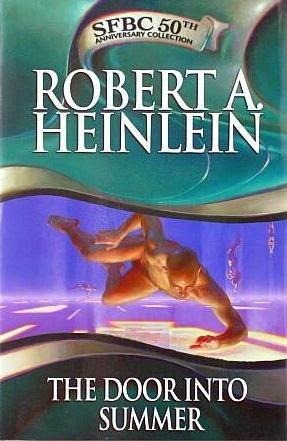 At Amazon, under publisher, they give: Robert A. Heinlein. As cheapo ebook covers these aren’t terrible – but they aren’t appealing either. I guess they decided that no art is better than bad art, and I’m thankful for that. 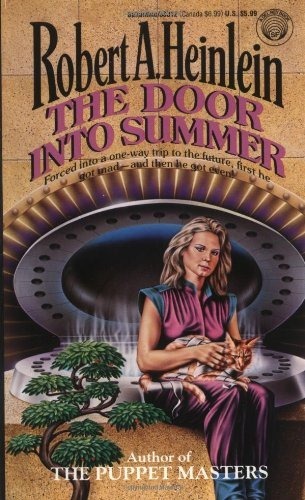 I assume publishers spent money on cover art when the covers often sold books. And I guess, since ebooks aren’t displayed in bookstores, publishers feel little need to sell books by their covers anymore. 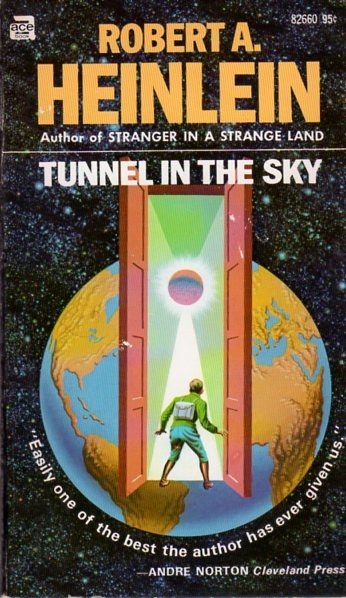 If you look at the cover art from 2016 – here’s a selection at the old SF Signal site, and look at a selection of cover art from the 1960s and 1970s at Science Fiction and Other Suspect Ruminations, you’ll notice, at least in my mind, that cover art is less creative. For fun, I thought I’d give a brief history of these two covers. 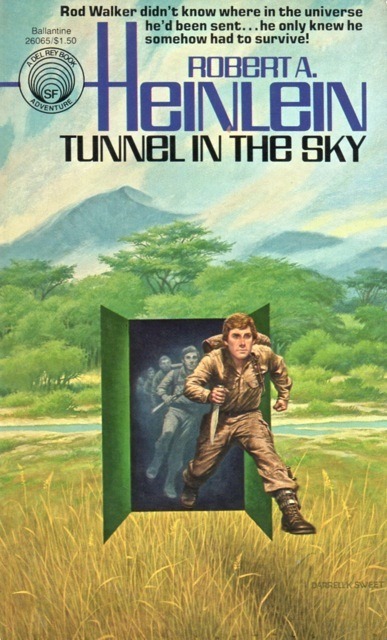 Tunnel in the Sky has never had any great covers, but some of them were not bad. 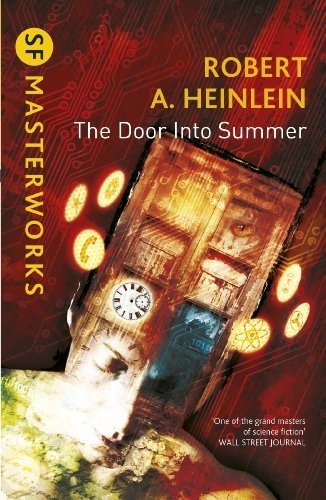 The Door into Summer has one great SF cover, and a couple interesting ones. Clicking on the covers should bring up larger images. 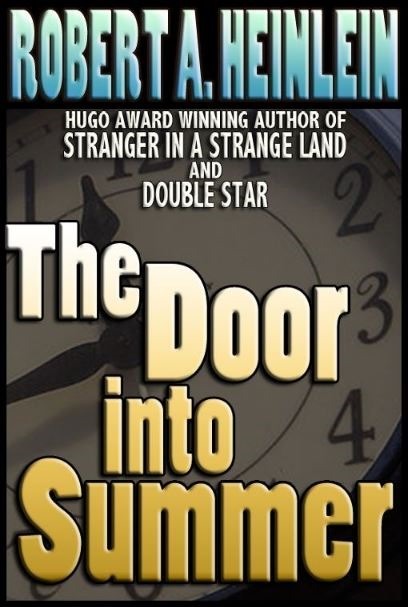 And for some extra fun, here’s what The Door Into Summer looked like when it appeared in F&SF. These aren’t masterpieces of cover art, but they are a lot more appealing than the current covers. Can you understand why I feel cheated? I still miss the cover art from 12” LP covers. The art on CD cases were never the same. Is migrating to digital media destroying the wonderful world of cover illustrations? Cover art without the ‘art’ is just a boring cut-and-paste, which these two look like. I get that the books will sell on the name alone. But very few writers have that kind of luxury, so I would answer ‘no’ to the question you posed in the title. There’s a rich world of cover art, ‘good’ and ‘bad’, out there, and the more writers who go indie, the more cover art, experimental, traditional, etc, there will be to peruse. Well, there is more than one reason I buy books, new and used instead of renting access to digital media. Skipping the old-guy attitude regarding digital media, I like the look and feel of books when reading them. Hell, I like the smell of them as well. And I get to keep the artwork. OK, I cannot leave it at that even though I tried. 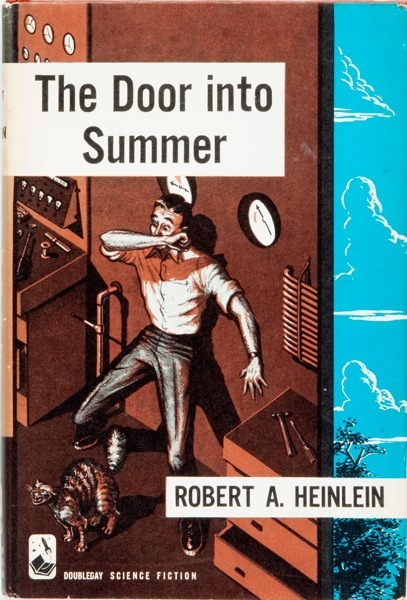 Science Fiction cover art throughout the 1950s – 1970s varied from hack work to outstanding art. 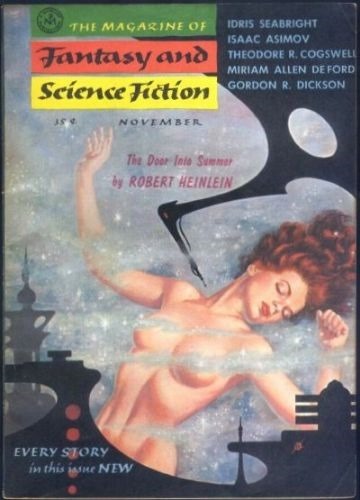 No doubt much of the best can be attributed to Kelly Freas, Frank Frazetta and a few others, but there were many more serious artists (no doubt making nickels per sale) who seemed to love what they did in providing covers for F&SF, Analog, etc. Or perhaps they were just practicing their craft regardless. Just another reason I will never give up hand-held, cloth bound and paper leaved books. I may have them interred with me when I go. Or even better, imagine the funeral pyre with 70+ years of accumulated dead trees. I’ve come to accept e-books, but like you Jim, I love books (and albums). They are a pleasure to the senses, and set off all kinds of nostalgia bombs in my mind. However, I have to be careful. I have a collecting gene that I can’t let get out of control. I have one wall of bookcases. I allow myself that many books. If I get more, I have to get rid of books to make room. I miss those books, but if I don’t control myself, I would have a house full of books. And my Buddhist nature won’t allow that. 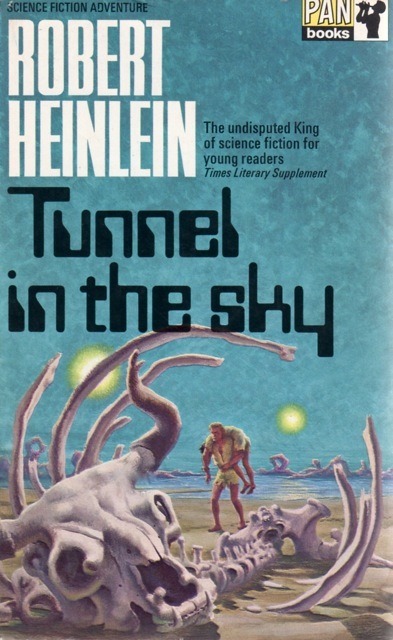 If Tor.com can offer beautiful cover art with their short stories online there is no excuse for any publisher of Heinlein not to do the same regardless of the format. E-books have challenges of their own. You’ve only got so many pixels to work with, so you need big word and high contrast backgrounds for legibility reasons. That’s not to say you’re wrong. Those requirements make e-book covers more challenging, but don’t have to result in the boring covers in your first few photos. Take a little time, spend a little though, and you can still come up with evocative covers that tell you a little more about the book than the words in the title. Ebook covers are tricky. They’re almost always viewed only as tiny thumbnails. A Kindle book opens right up to chapter 1, so you have to page back to view the cover. 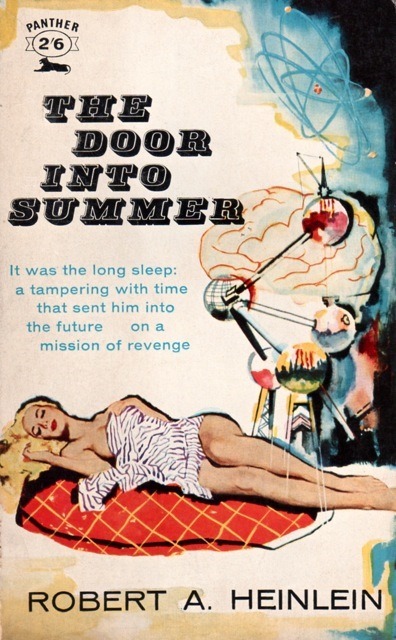 Covers should look like real book covers to sort of imply there’s a real story inside. But many print book covers have the title and/or author set too small to read on a thumbnail image of the cover. You have to find a compromise if you want the important information, like the author’s name and book title readable as a thumbnail image. 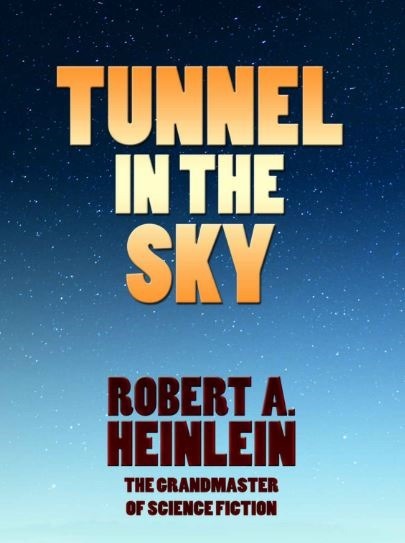 It looks like the Heinlein estate is self-publishing these ebooks, and figured to simply sell them on the Heinlein name. 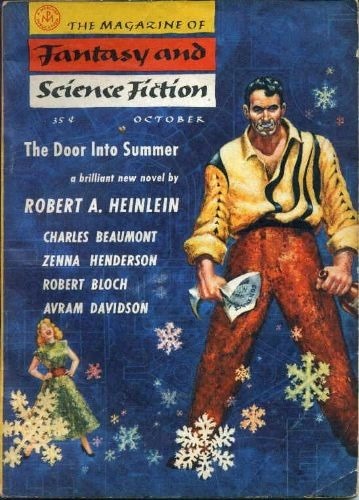 Still, you would think they would put a little more effort into it – they aren’t going to sell it to anyone not familiar with Heinlein. 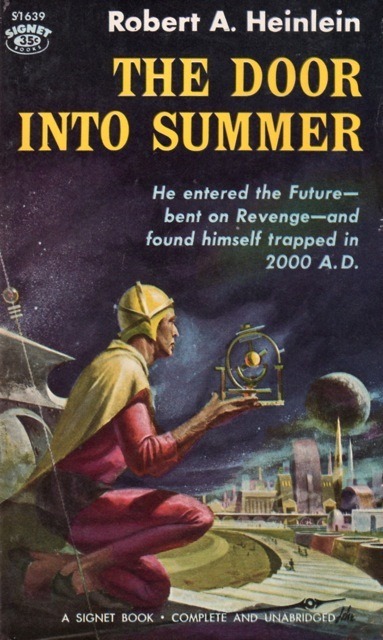 I’m an old Ace Books fan, and for my money, their Edgar Rice Burroughs and Andre Norton titles of the early 60’s generally had the best cover illustrations – representational, but not too gaudy. But that doesn’t explain covers with art working in just as small layouts. It always disappoints me to buy an ebook that shows a pretty cover on Amazon, and then a dull cover in my Kindle library. Viewing my Kindle library is how books beg me to read them. A good cover counts. I see what you mean. 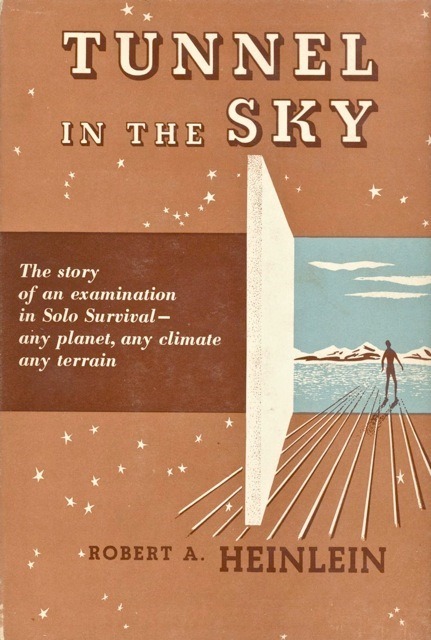 I prefer the early paperback covers. I assume not much is given for eBook cover art in order to cut costs since the price is also what makes ebooks appealing. Also the physical copy is promoted more. People first learn of the physical copy n then seek the eBook so no need to make the already familiar pretty.